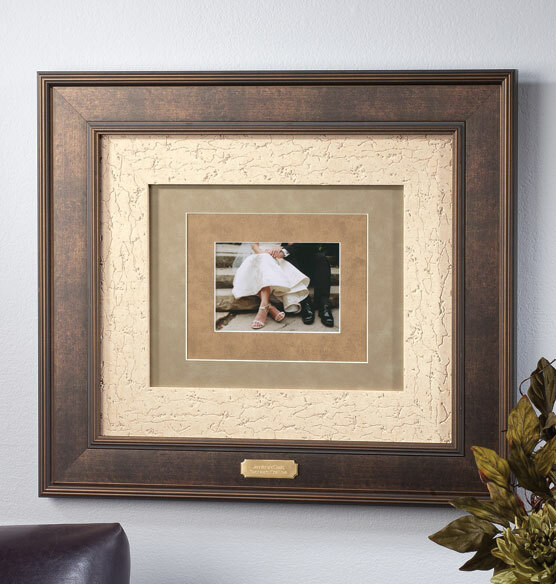 The timeless beauty of bronze makes this custom triple mat bronze frame a classic choice for showing off a wedding, anniversary or other milestone portrait. 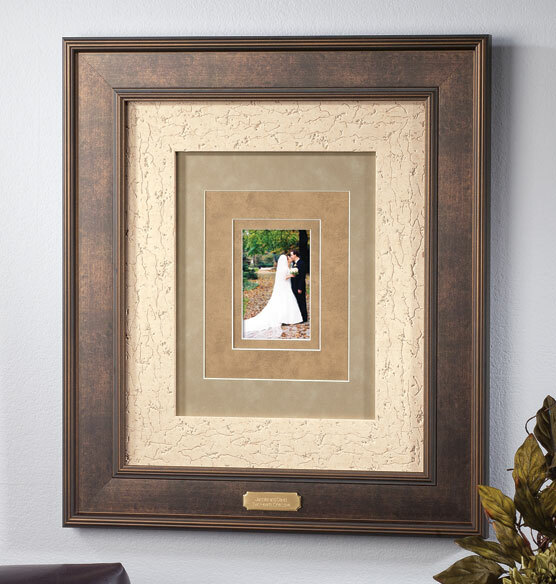 The large size and high quality craftsmanship make it the perfect centerpiece on any wall. Displayed vertically or horizontally, the picture frame's three included mats offer the ultimate in flexibility, allowing it to hold an 8" x 10", 5" x 7" or 4" x 6" photo, depending on which mat is used, or an 11" x 17" photo without a mat. 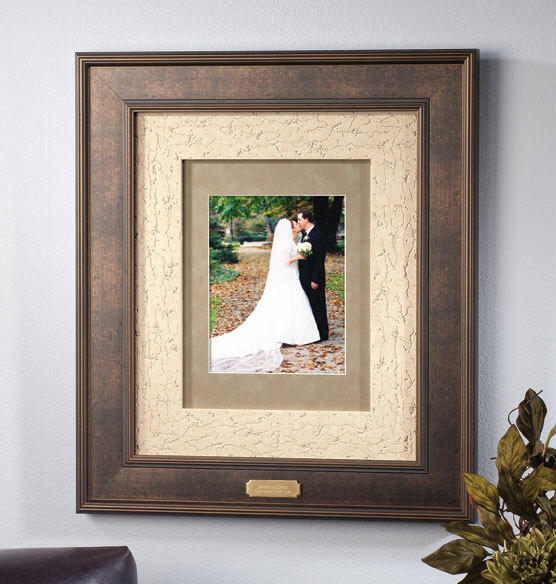 Personalize the bronze plaque with the date or a message to commemorate the special day. Was very impressed by the size and quality of this frame, looks fantastic hanging in the foyer for all to see. The multiple layers of matte added addition class to an already impressive piece. 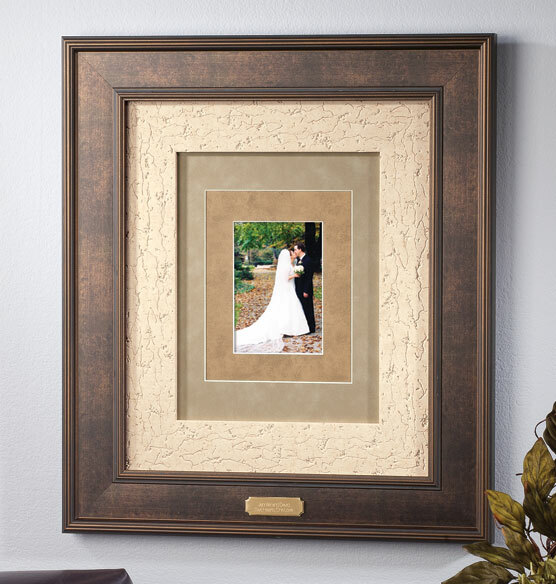 This is a beautiful frame for a special occasion. The colors perfectly complemented an old photo that I wanted to frame.